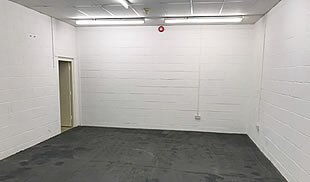 Modern refurbished two storey business unit. Chaucer Business Park comprises a high quality modern purpose built business park of 9.5 acres. The units were built in 1990 of portal frame construction, finished to external brick elevations and pressed steel to the elevations set under a pitched insulated roof with corrugated sheet cover, incorporating translucent roof lights. Unit D8 comprises a ground floor storage/production area with open plan first floor offices. 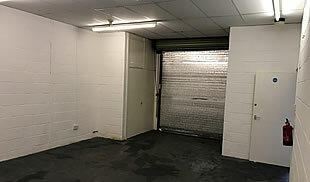 The ground floor has a floor to ceiling height of 2.97m (9ft 9ins) providing an open plan workshop/storage space accessed via a roller shutter door. The first floor offices are carpeted and benefit from a kitchen area, suspended ceilings and category 2 lighting. Just off the A25, near Sevenoaks, this modern office building is located on the established Chaucer Business Park in Kemsing. The property adjoins Kemsing railway station with an approximate journey time to London Victoria of 40 minutes. Kemsing is located three miles east of Sevenoaks, about twelve miles west of Maidstone and seven miles south of Swanley. 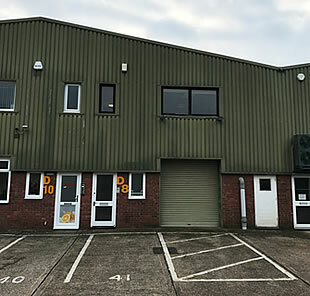 The Business Park is situated a short distance north of the A25 at Seal and is within easy reach of Junction 5 of the M25/A25/M26 at Sevenoaks and Junction 2 of the M26/M20 at Wrotham. Services are provided, including 3-Phase electricity. The rateable value for the unit is currently £9,800 with annual rates payable for 2017/2018 of £4,509.77. For further enquiries relating to the rateable value, please contact Sevenoaks District Council on Tel: 01732 227000. 100% Small Business Rates Relief maybe available - parties should make enquiries to Sevenoaks DC. Chaucer Business Park - Estate occupiers, types of building, planning uses, transport, ownership, etc. View further details in our Kent Estate Directory. 1) These particulars do not form, or form any part of any offer or contract. 2) They are intended to give a fair description of the property but neither McMeeking nor the vendor accepts responsibility for any error, however caused. Any intending purchaser must therefore satisfy himself by inspection or otherwise as to their correctness. 3) McMeeking have no authority to make or give any further representation or warranty whatever in relation to the property. FINANCE ACT 1989 – Unless otherwise stated all prices and rents are quoted exclusive of Value Added Tax. Any intending purchasers or lessees must satisfy themselves independently as to the incidence of Value Added Tax in respect of any transaction.